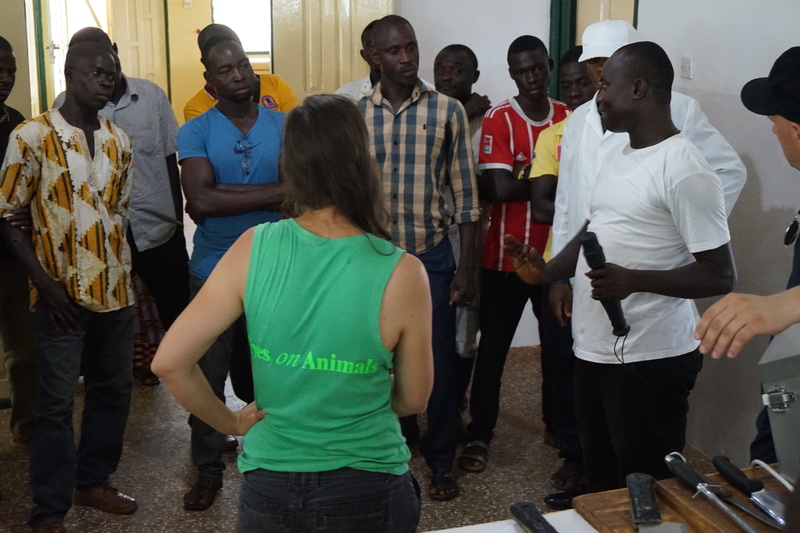 Today we gave a training in humane handling to pig butchers in the region of Tamale. 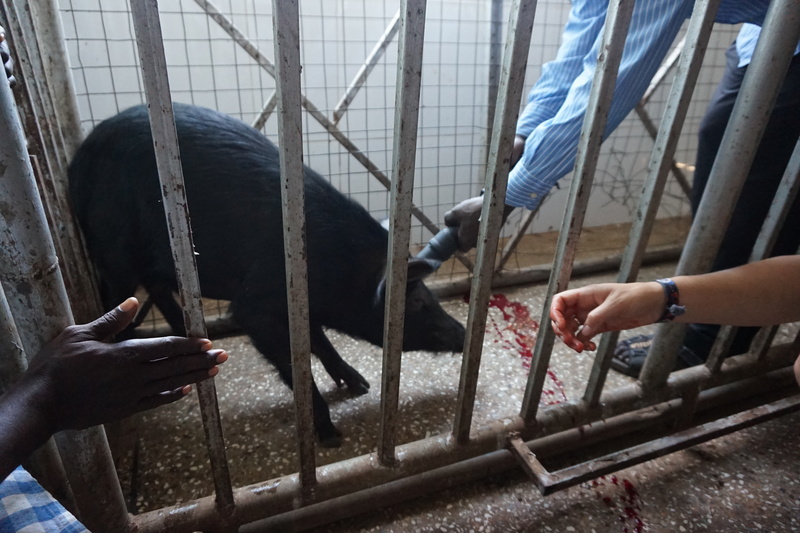 It was held at the UDS campus abattoir. Last year we had given a training here too, to agricultural students and the slaughter-men of this abattoir. Since we donated a captive bolt pistol and cartridges to them last year, all animals are being stunned before slaughter at UDS, instead of being bled out alive. Today all the pig butchers also accepted the idea of using a captive bolt to render the pigs at least unconscious before being cut and bled out. 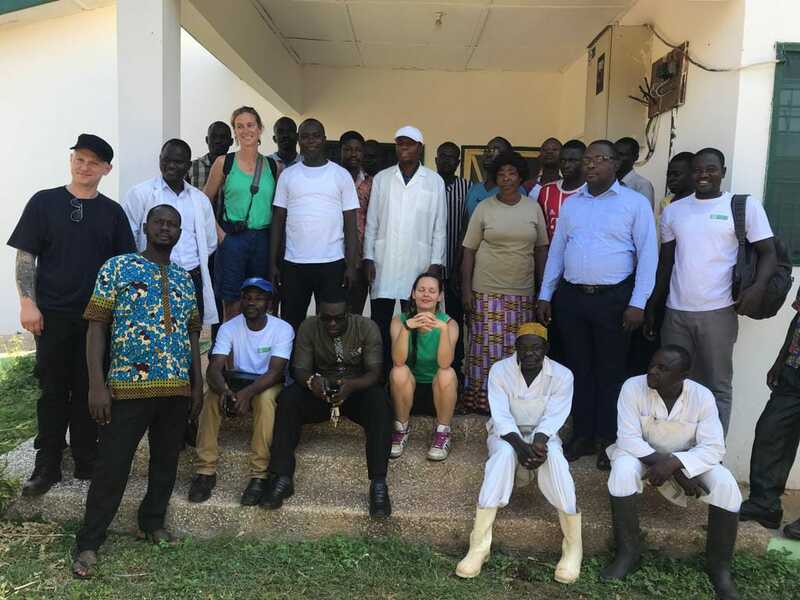 Our EonA/WACPAW team taught them how to use and maintain the stunners. All pigs were pre-stunned today. 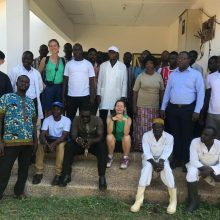 Thanks to UDS for letting us hold the welfare workshop at their facility and for using and promoting pre-stunning themselves.